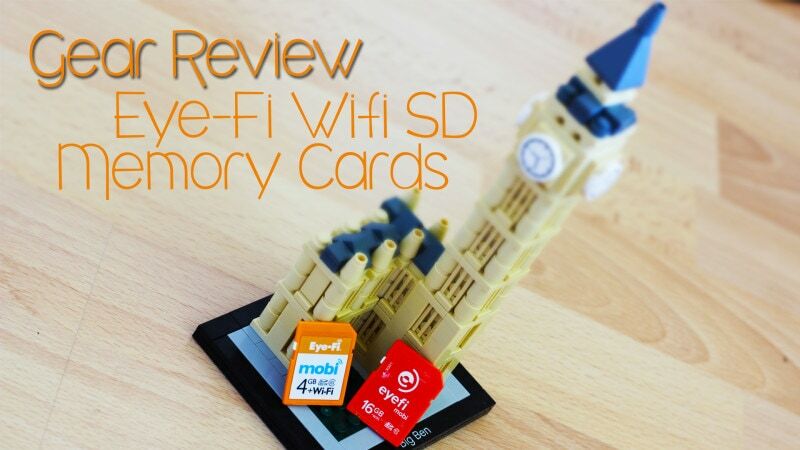 It’s a bit of a tongue twister, the EyeFi Wifi SD Memory Cards. But unlike a tongue twister the EyeFi cards were built not to tangle things, but to keep you untangled. Essentially, what this card does is create a WiFi signal from your camera which you can pick up with your mobile device allowing you to view, edit, and share the images you’re shooting out in the field directly with your friends without needing a WiFi capable camera in your hands. For those of us who share on social media platforms like Instagram, it’s a great way to keep the “insta” in Instagram. Anyways, check out the video for my review. If you don’t want to hear my voice of see my face, I’ve also written the review below the video. Setting up the card is quite simple, but you’ll need to go through the following checklist to make it happen. Buy the Card: You can buy the card in the big stores like B&H and Best buy, or online here at Amazon. 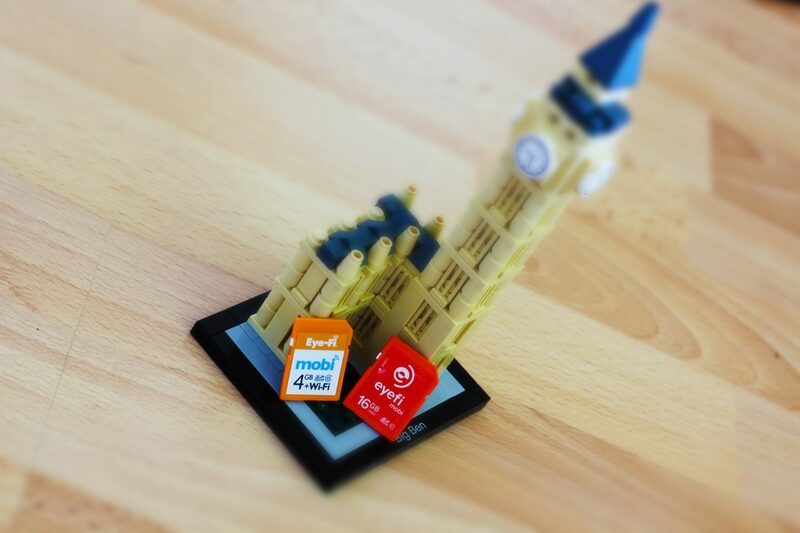 Install the EyeFi App: Head to the apple store and download the app here on your mobile. Enable the Card: Put the SD Card in your camera, and search the settings for the EyeFi Settings. When you find them, hit “enable”. On my Canon DSLR, the setting is found in the first wrench at the bottom. Sync the card and your mobile device: Head into the app and choose to add a new card. The activation code is on the back of the memory card’s case. Then, follow the steps your phone will take you through to install the card settings into your phone. Join the WiFi signal: In your mobile device, you’ll see a WiFi signal created by the card. Join the network. Shoot: The next part is easy, shoot an image. The photo will turn up in your mobile phone after the transfer is complete. No review is complete without a test of the quality of the card. So, I ran the SD card through a couple quick trials to see if it can hang. For the test, I used a class 10, 4GB Mobi Card. The first test I wanted to do had nothing to do with the WiFi capabilities of the card, but just the speed of it. The card is class 10 and should hang with the 5 frames per second the Canon 700D does for a couple seconds. Thus, for 10 seconds, I fired away to see if the card would keep up, or if it would slow down. I shot the images in full-sized RAW. According to the specs listed online, the card should read at about 13mb/s and write at 23mb/s. The Results: For me, the results are a bit mixed. The first 5 or 6 shots went off extremely well, then it slowed down considerably. Realistically, the card can probably only handle 1 or 2 RAW files per second and the first 5 images were held by the camera. Thus, if you’re planning on doing high-speed RAW shooting, this card probably isn’t for you. That being said, for 5 or 6 images, you’re OK. My guess is that if you’re the type of person that would be shooting a WiFi card, you probably wouldn’t really need much more speed anyways. And, if you are, you’d grab a high speed SD card instead. My point is, high-speed isn’t what this card was built for. It can hang for the short bursts it needs to, but won’t be processing hundreds of images per minute. I was curious to see how far away I could get from the camera and still pick up the signal. Now, I know that it also has a lot to do with the device picking up the signal, which in my case was an iPhone 4 (which I really dislike) which has a really weak antenna. But it still gives me a bit of an idea. One of the uses for this card could be to use it at a social wedding in which the photographer can send the images right away to a tablet on hand. Another use might be for a studio photographer wanting to tether to a device. I wanted to see how far away I could get. According to the specs listed online, the card has a maximum distance of 90 feet outside and 45 feet indoors. I just tested outdoors. The Results: Yeah, they lived up. I only went about 50-60 feet away from my camera using the iPhone and it still had two bars when I got there. I imagine that the 90 feet is legit, and if so that’s great range. For my uses, I can’t imagine I’d be more than 2-3 feet from the card. However, someone doing wedding photography might want to be farther from their device they’ve got rigged. Final Thoughts on the EyeFi WiFi SD Memory Card? As a social media conscious travel photographer, I love this device. It gives me the ability to shoot something in my non-WiFi DSLR and then import it into my phone to share with the world instantly. Combine the WiFi card with awesome editing apps like the Adobe Lightroom App or even something like Snapseed and you’ve got the ability to toss an edit onto the image too before sharing. The cost of the EyeFi Card varies, obviously, between the capacity and the class of the card. On Amazon you can get the 16GB EyeFi Card for $66; at B&H it’s also $66, so it’s a bit of a commitment when you can buy an Extreme Pro SD card for about $35. However, when you buy the EyeFi Card you are getting much more the memory card storage. You’re getting the WiFi signal, the app, the cloud network, and the ability to turn your DSLR into a social-ready device. Personally, I think it’s a great investment, and a must addition to your travel photography gear. How random, I met you in Florianopolis about 3-4 years ago and today totally unrelated to that trip I was googling about wifi cards and this came up as the top hit, I thought I recognised the name and the photo, so had a dig and found your old Floripa post! Anyways this article was exactly the answer to what I was wanting to find out. Good to see you’re still running the website. Nice to hear from you. Man, I miss Floripa. Was such a good time.